Mia Freedman takes us for a drive in her car. 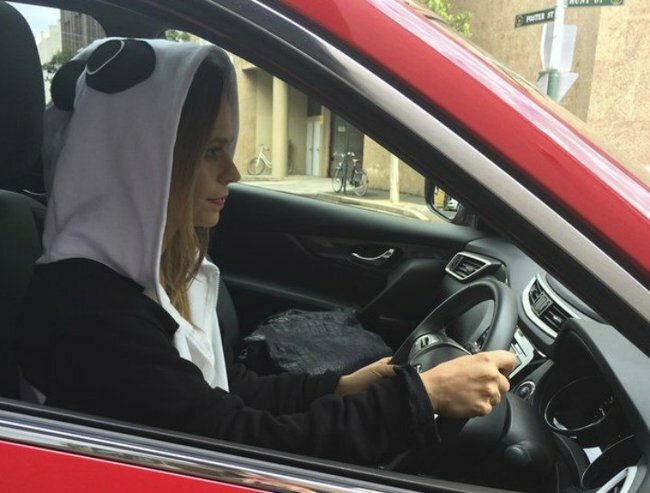 Mia Freedman has been apologising for this since she learned to drive. Have you ever met a woman who hasn’t apologised for the state of her car before you step into it? It’s often said that a woman’s car is just an extension of her handbag. And just like a handbag, you can tell a lot about a person by what’s in their car. 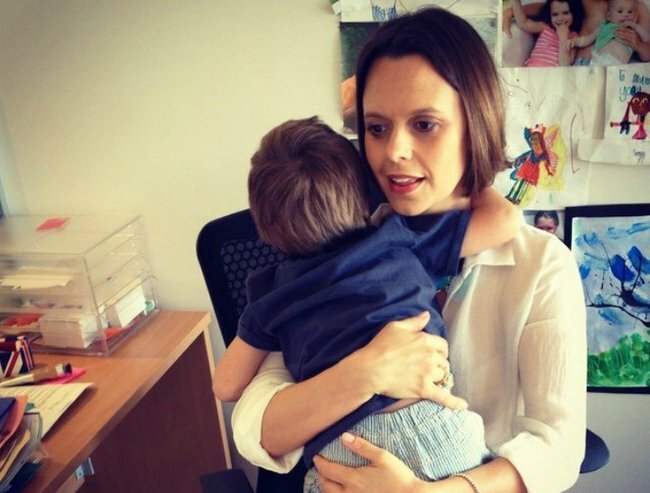 So today, just for fun, we’re giving you a small insight into what life is like on the road with Mamamia Women’s Network Editorial Director Mia Freedman. Come take a look in her car. Just as an FYI, you should know that this post is sponsored by Nissan Pathfinder. 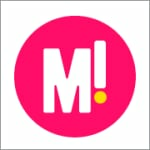 MM: So! This is what your car looks like. MIA: Yes, I’m sorry about the mess. Actually, you know what? I’m not really sorry. I’ve been apologising for my car every time someone outside my family gets into it pretty much since I learned to drive. I’m done. Why do women do that? I’ve never ever been in a woman’s car when she hasn’t apologised and immediately tried to throw 24 things from the front seat into the back. MM: Don’t worry about it. That bunny suit is actually really soft. Can I have it back to sit on? MIA: [laughing] It sure is. I have no idea why it’s in the car. It belongs to my daughter. Was she taking it somewhere and left it in here? Was she wearing it and it got too hot and she took it off? My car is totally symbolic of my life: a beautiful mess. That description comes from a recent talk I heard Elizabeth Gilbert give. She’s the author of Eat, Pray, Love. She talked about how the word “balance” was a prison for women and that instead of trying to achieve the impossible we should try to embrace the beautiful mess of our lives. My car is the embodiment of that philosophy. MM: How many kids do you have and how old are they now? 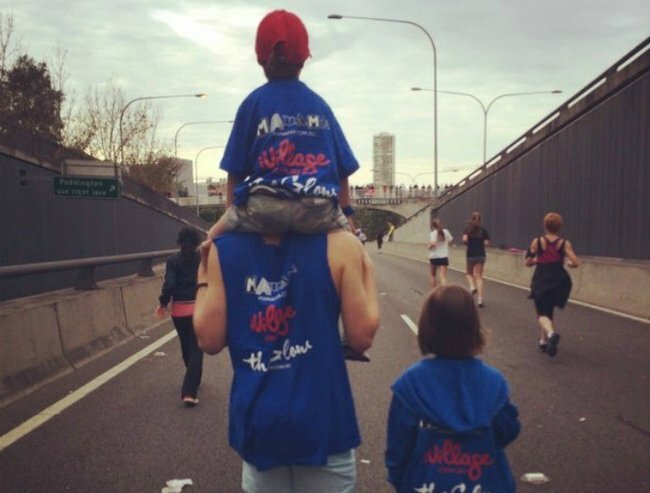 MIA: I have three kids, 6, 8 and 17 and we spend a lot of our time together in the car. I’m driving all of them around constantly like most parents do and my son is about to get his license and since my husband is not great at being a passenger, I’ve done most of our son’s mandatory 120hrs of driving with him. I love being a passenger! Love driving, love being a passenger. Love being in the car actually, which is lucky because I’m in it an awful lot. MM: Do you consider your car something that just gets you from A to B or do you have a deeper connection with it? MIA: Oh no, it’s not just transport. To me, my car is sanctuary, therapist office, dance floor, coffee shop, wardrobe…..so many things. It’s the place I spend some of the most important time with my kids because on the way to school and on the way home, we talk. And when your kids get a bit older it’s a great way to trap them into listening to you! My teenager has many tales to tell about being stuck beside me in the car listening to one of my famous ‘teaching moments’. I like to impart life lessons and wisdom on the road when my kids can’t escape and don’t have screens. Works a treat. MM: Are you ever alone? Like, ever? MM: Do you ever rock out in the car? MIA: Yes! Great question. Especially in the mornings if things have been hairy trying to get out the door, we’ve started listening to Taylor Swift’s Shake It Off. Really loud. Windows down. It actually works so well for changing your mood. My daughter and I love it so hard. MM: You and your husband work together so does that mean the whole family is in the car every morning and afternoon? MIA: Are you on crack? NO WAY. Remember what I said about alone time? Car time for me is key. Working with your husband can be wonderful but also intense. People always ask how we do it and it comes down to three things: we drive to work separately, we sit far apart at work and at home we have separate bathrooms. For us, those things are key. And my car is my space. I love to have it exactly the way I want with all my stuff around me. Mia going for a ride in the Nissan X-TRAIL. MM: Tell us about some of that stuff. You have a pretty eclectic mix of junk, I mean, things in this car! MIA: Yeah I do! It’s true what they say about a woman’s car being like a giant handbag. My husband and son are too scared to delve into my handbag because they never know what they might find and the same can be said for my car. There are always snacks and drinks because heaven forbid my children have to travel more than 100m in any direction without food and hydration. Always random bits of clothes because I’m forever changing in my car. I have to walk a fair way from my car to the office and high heels don’t always cut it so I have always got random pairs of shoes floating around. Same with coats and jackets and accessories. A girl needs options. Hats and sunscreen because you never know when that will be required. Same with painkillers and make-up. Sometimes I have to do a last-minute TV interview with The Project or the ABC with no notice so I try to have backups in the car. Tops that look OK on TV and whatever else it takes to make myself over quickly. I prefer this to having my hair and make-up professionally done. It takes too long and I just can’t be bothered. MM: Are you a good driver? MIA: I’m an enthusiastic driver. I enjoy the act of driving very much and I feel at my most in control when I’m behind the wheel. I got my license the moment I was legally able to do it and I’m always baffled by anyone who doesn’t drive. To me, it’s the ultimate freedom and act of independence. I’m notorious among my friends for driving everywhere. Never cabs. I’d prefer not to drink just so I can have that instant escape if I need to. I use my car to ghost all the time. I get panicked at the idea of not being able to leave somewhere exactly when I want to. 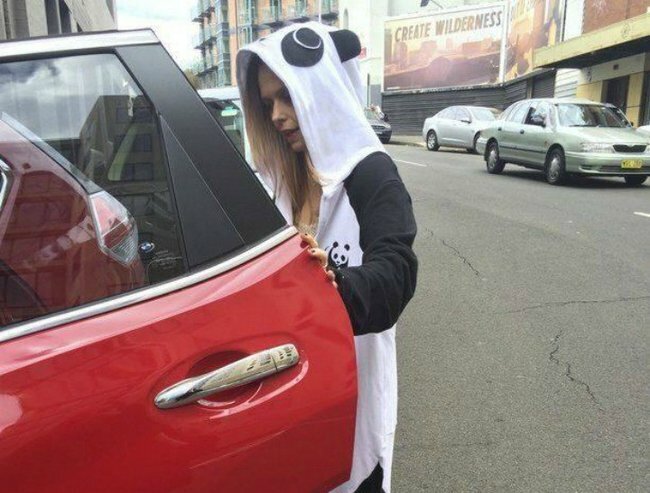 Mia wearing her onesie while driving her Nissan X-TRAIL … as you do. MM: Last question: what’s the weirdest thing I’ll find in your car? MIA: Define weird. I have a lot of USBs because my youngest son is obsessed with them and smuggles them to school to play some kind of game. There’s usually some item of clothing that I’m in the process of returning. And empty clothes bags and tags and shoe boxes because I fleece my new purchases before smuggling them into the house. The bunny suit would have to be up there too, right? It’s the stuff of my life. A beautiful mess. What kind of things do you keep in your car?